Managers are ultimately accountable for the performance of their teams, so it’s unsurprising then that most managers will focus on the end result. That is, the outputs of their team and the outcomes these produce. Leadership is now being re-imagined and leaders are being challenged to place purpose at the centre of what they do, and from there the results will come. This is a core principle of the Conscious Capitalism Movement. When I decided to explore the role of the leader in facilitating their team’s performance I realised the best place to start is with my own experience. I began by reflecting on my biggest successes and achievements during my career, as well as my, let's call them those "that'll do" moments. You know, when you get a task done without going above and beyond to just get it over with. Then I thought back to the influence my manager at the time had over my performance in each instance. Of course there were a number of variables however there was something that set my successes apart from my, *cough*, failures. When I have reached my proudest achievements at work my leader involved me from the very start. I was involved in making decisions about how the work would be done and setting goals and objectives. My leader asked me questions and as a team we agreed the who, what, when, where and most importantly, why. As a result I felt a personal connection to these projects. On the flipside, when I cast my mind to a particular project that I never prioritised, even with deadlines looming, the opposite was true. The project arrived on my desk with the how, what, when, where and why predetermined. While my team were considered to be the specialists in this field our senior leaders had set the parameters without seeking our input. Rather we were told what to do, and the why was never really factored into it. At the heart of my successes and failures was the why. When I had a personal connection to the purpose I felt a stronger intrinsic motivation for a project. If my leader involved me from the start, it never felt like a chore to get it done to a standard I could be proud of. Want to know more? 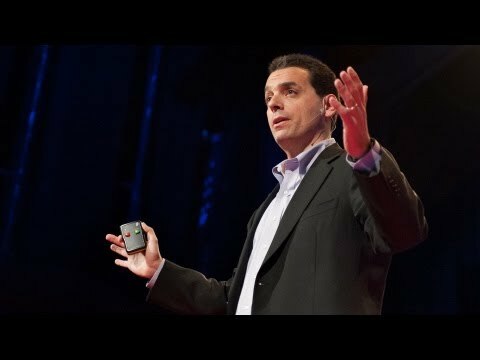 Dan Pink delves deeper into intrinsic motivation in his TEDTalk on The Surprising Science of Motivation. So as a leader are you focused first on the outputs of your team, or on helping them connect to a shared purpose, when driving performance?